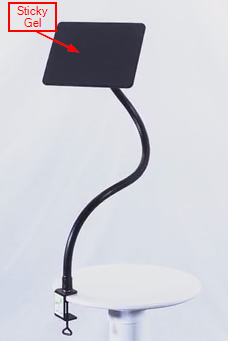 THE RIGHT ARM is the universal laptop, tablet stand and mobile stand-up desk for any device. It is simple to setup and super easy to use. To start the installation process you must first connect the anchor with a table or mount. 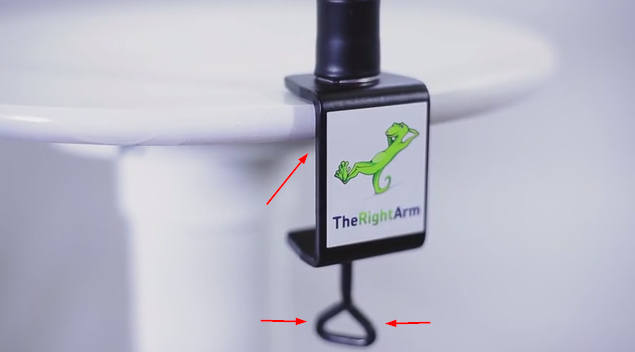 Make sure that by winding the lever to is maximum your TheRightArm is firmly attached to the table. 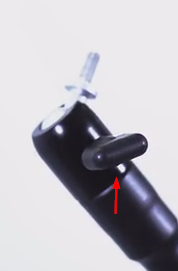 The rotating ball join is connected by screw, so it is realativly easy to remove and also adjust the position the pivot. And then the final installaion is to place your laptop / tablet pc or books on the German-made, high density (1.06 g/cm3) polyurethane gel. It losses 20% of its stickness on the first or second day of use but the rest remains intact for its lifetime. For additional saftly there are two elastic bands which will help keep your device in place.